Connect the Dots, la la-la la-la | Half Heart. Whole Life. When I was a kid my favorite Saturday morning show was Pee Wee’s Playhouse. Yes, I said it. That show was hilarious, and even moreso now that I’m an adult. But that’s not what this post is about (per se). Do you remember whenever he would do the connect the dots bit? Hilarious. The day before I moved down to NC, my best friend and I were hanging out at my grandmother’s house and we found an old VHS tape of Pee Wee’s Playhouse. As soon as he busted out with “Connect the dots, la la-la la-la” we LOST it. 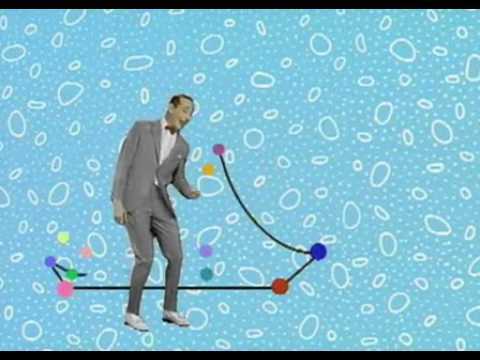 In fact, any time someone mentions “connect the dots”, I think of Pee Wee. Thank you America. As Nolan’s parent I am more than happy to advocate for him and other heart kids, I really am. But sometimes I feel like we as his parents are tasked with the sole responsibility of attempting to coordinate his care. Each of his physicians and therapists do a great job in their own regard, but it’s like they exist on their own separate islands…islands they can’t seem to venture away from, so it’s up to me and Bekah to put Nolan on our back and swim island to island. So how do we connect those dots? I think the answer lies with cardiology. Nolan’s heart condition will always be the biggest issue, and I absolutely love his heart team, they do an incredible job. This is not meant to be critical of them, it’s merely a suggestion and one that I think can benefit ALL heart kids in ALL heart programs: the heart teams need to take the first step in connecting the dots. Imagine when you’re about to leave the hospital after your child recovers from the Norwood Procedure: if your cardio team asked, “Who’s your child’s pediatrician? 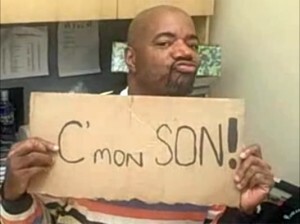 Would it help if I talked with them and offered to educate them about your child’s needs?” WHAAAAAT? It simply gives my child the best shot at getting the best care. It would be great for G.I to keep up with speech therapy or for G.I. to keep up with cardiology. And maybe it does happen to a small degree, but I think more could be done. I know as a heart parent it’s annoying/exhausting when you see a new doctor and mention his sats are in the mid-80s and they’re like “OH MY GOD!” It’s enough to care for a heart baby and the advocacy associated with it, but a little help in that department wouldn’t hurt. Everyone could stand to learn more and communicate more. Posted on February 25, 2014, in awareness, Care at Home and tagged CHD, congenital heart defect, HLHS, hypoplastic left heart syndrome. Bookmark the permalink. Leave a comment.